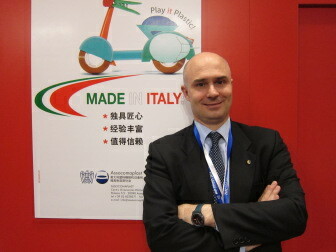 President, do you feel that 2013 may be considered a year with more light or more shadow for the Italian plastics and rubber machinery industry? I think that 2013 is a year of transition after strong growth in 2011 (production up by 11% and exports by 21% with respect to 2010) that carried over into 2012 with sales abroad continuing to rise (+6%). The current year is suffering from the deep crisis in the domestic market and the slowdown – which was particularly accentuated in the second half of the year – in certain very important export markets, including China, Brazil and the United States. Although exports make up 65% of total production (although actually a whole series of machinery and equipment are sold in Italy but to be installed on systems/lines destined for foreign markets), it is quite clear that the difficulties of a national institutional and economic system in deep crisis (as regards support for promotion abroad, credit crunch, high cost of labour and energy, etc. etc.) end up having a strong impact on the activities of Italian businesses. What are the challenges awaiting Italian manufacturers of plastics and rubber processing machinery in the short and medium term? If they are going to continue to compete in international markets – where we find old and new competitors – Italian companies are going to have to invest increasing sums in research & development to remain in the upper tiers of technology providers. Energy savings, weight reduction and reduction of the thickness of products to save on raw materials are only a few of the most noteworthy objectives on which companies must focus their efforts, even more than they have in the past. Assocomaplast, the Italian Plastics and Rubber Processing Machinery and Moulds Manufacturers’ Association, of which I am honoured to be President, is developing along these lines on the European level, within EUROMAP, helping formulate recommendations for comparing energy consumption of various types of machines on the basis of uniform criteria and measurement methods. What outlook do manufacturers have for 2014? Beyond what we hear over and over again on television and from the major Italian newspapers, we can honestly say that even the CONFINDUSTRIA Research Center finally recorded a reversal of trend, with November up 0.4% over October, after a couple of years of consistent shrinkage of industrial production. And in addition to this mere statistic, the Assocomaplast secretarial office has registered slight signs of recovery in the past few weeks. Some segments (packaging, pharmaceuticals, etc.) appear brighter, while others – automotive and construction first and foremost – are still suffering the effects of the recession. The first months of 2014 will be very important in allowing us to assess these signals. As regards foreign trade, there is a keen focus, in spite of the problem of the euro-dollar exchange rate, on the U.S. market, which, thanks partly to the exploitation of shale gas deposits, is expected to rebound strongly. China has shown signs of slowing down – although while growth of 7% might be worrisome to the Chinese government, it still gives the idea of a country that will continue to drive the world economy. The future is uncertain and fraught with difficulty, but I am confident that our enterprises, as they have proven in the past, will continue to be able to compete on all international markets.